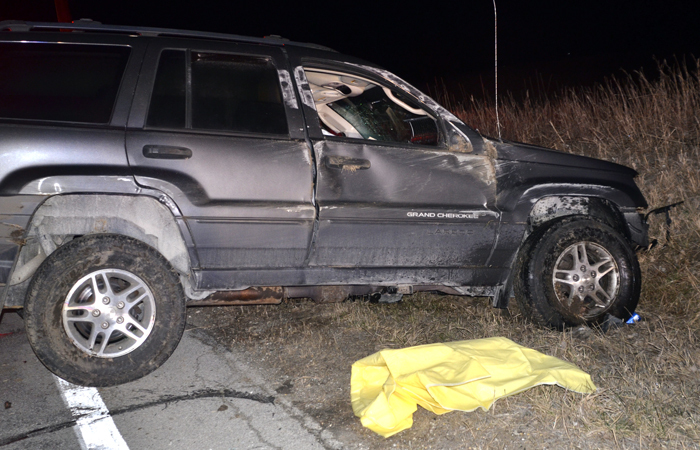 A Jeep Grand Cherokee was one of the vehicle involved in the collision on SR 15 this morning. 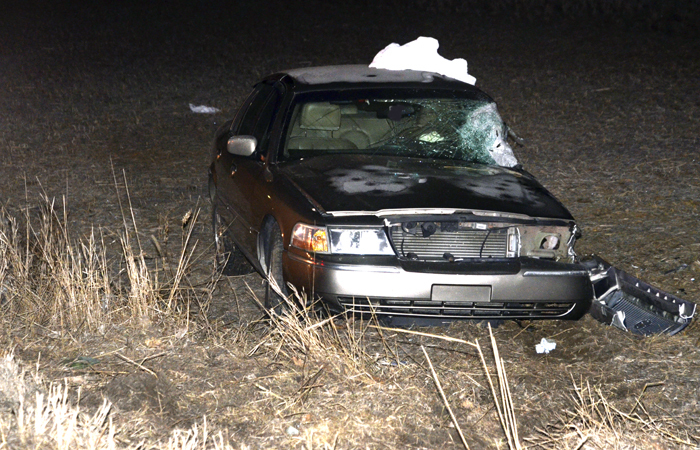 CLAYPOOL — At 5:43 a.m. Saturday, March 23, two vehicles were involved in a head-on collision on SR 15 in Claypool. According to the police report, a 2003 Jeep driven by Roy A. Thomas, 62, Silver Lake, was traveling northbound on SR 15, south of West Union Street. A 2004 Mercury, driven by Saundra A. Graham, 58, Silver Lake, was traveling southbound on SR 15. Thomas reported he did not remember what happened, other than his vehicle striking Graham’s vehicle. Reports indicate that Thomas’ vehicle crossed over the center line, resulting in the collision. Both drivers were treated at the scene and transported by EMS to Kosciusko Community Hospital with complaints of leg pain. The other vehicle involved in the early morning accident on SR 15 Saturday, March 23.